Festivals, conferences, matches, and concerts are all places you’re bound to find a Chargebar or 2. More than anything, people need access to their phones at any type of event. 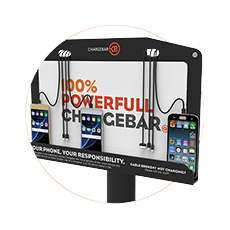 More than just providing charging, a Chargebar functions as a powerful promotional tool, through visitors posting on social media, communicating with friends, and taking photographs. On top of that, custom branding allows you to communicate any advertising message. Nowadays, people use their phones to make memories last a lifetime, and share them with the world through social media. Being able to capture their favourite band, a grand final, or an inspiring speaker at an event is so important, but impossible without the device we rely on every day. Devonshires handed out to those who need them at a conference. 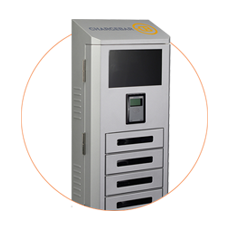 Chargesafes offered as part of a brand activation at a stadium. Pocket Power Packs handed out as corporate gifts. Rileys attached to the walls of an impressive expo display. If you only need a Chargebar for a few days, or a special event, call 1800 399 244 or email info@chargebar.com.au and our team of experts will advise you of the best options! Manage lots of events? Looking to re-use your Chargebar? Give Chargebar a call on 1800 399 244 for the best outright purchase pricing guaranteed. 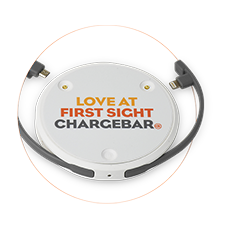 If you only need a Chargebar for a few days, or a special event, call 1800 399 244 or email info@chargebar.com.au and our team of experts will advise you of the best options!. Manage lots of events? Looking to re-use your Chargebar? Give Chargebar a call on 1300 887 426 for the best outright purchase pricing guaranteed..